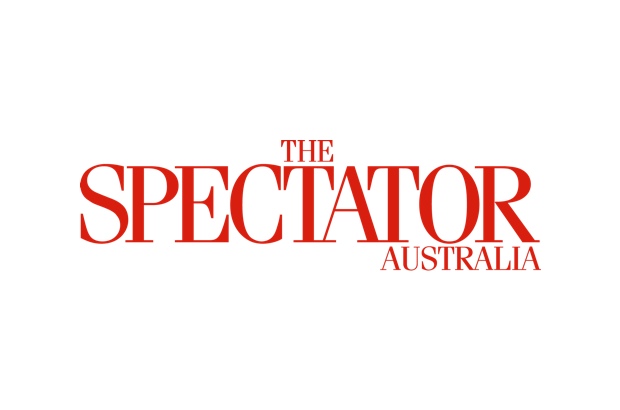 The Spectator Australia Electoral Reform Unit, working in secrecy behind its heavily fortified premises at Belconnen in the ACT, has made such a momentous discovery that it is necessary to bring out a special edition of its newsletter to alert the public to this occurrence. As readers would appreciate, we have already identified six separate electoral reforms of great significance that cannot help but improve and purify the democratic process. And each time we discover some new development that would improve democracy we pass it on to the international community, completely free of charge, in the hope that it might improve the electoral process in as many countries as possible and contribute to a happier and more prosperous life for their citizens. Of our six major discoveries, the first was the Hillary Clinton Model where the constitution, the law and precedent are thrown to one side and the sole test of electoral success is the popular vote in support of whatever candidate the ruling elites determine is the approved one. If the approved candidate wins, it is a clear vindication of this method of assessing the true intentions of the people and is recognised as such. If, however, and this is the real beauty of the Hillary Clinton Model, the approved candidate wins on the popular vote, but is denied the fruits of victory because of some ridiculous legalism like preference votes or an electoral college, he or she is still deemed to have been successful and is recognised by the elites as the winner, as that is the better way of assessing public sentiment. Thus, if teenage girls in sufficient numbers roll around in the streets of New York in tears, gnashing their teeth, renting their garments and crying ‘He’s not my President’, the tenure of the nominal winner is rightly deemed to be illegitimate. Our second discovery is the Kerryn Phelps Variation which applies when the popular vote, by some cruel twist of fate, does not result in the election of the approved candidate and the counting of votes must go to third or fourth preferences until he or she is elected, like Dr Phelps. The elites are then permitted to argue that on this occasion, preference votes or an electoral college vote have more accurately assessed the true intention of the voter than the vulgar populism of the popular vote. The third reform is the EU Rotisserie Tendency where the election is repeated until the voters come to their senses and vote the right way. This method is of great value when the result shows, particularly in a referendum on an issue like Brexit, that large numbers of people voted who were clearly ignorant and unqualified, showing that the vote should be taken and re-taken until only the right people vote and they produce the right result. The fourth is the recently identified reform in the Democratic Republic of the Congo, now known as the Athens of Africa, where the result of the election is announced before the people vote, a distinct improvement on its previous practice where the people were not allowed to vote either before or after the result. The fifth reform is the Russian Twist, where all opposition parties, candidates and media are banned. And the sixth is the Russian Twist with Saudi Arabian and Yemeni Overlay, where the voters are exterminated as well. All of these reforms are valuable, as they avoid the election meandering off into time-wasting and expensive by-paths like debates, secret ballots, policies, counting votes and suchlike. But they all fade into insignificance beside our recent discovery which has led to this early edition of our newsletter. In short, the announcement has been made by the shadow treasurer Mr Chris Bowen, after giving it the deep consideration for which he is renowned, that people should not vote for him or his party. The background to this cataclysmic pronouncement is a proposal to steal money that is due to shareholders whose tax has already been paid by the company in which they hold their modest portfolio. No explanation had been given why any shareholder should contemplate, even under the influence of a psychotropic drug, voting in favour of such a policy. It seemed, therefore, surplusage in the extreme to advocate to people who would never dream of voting for Mr Bowen’s team that they should definitely not do so. But even so, the notion that people affected by this new tax should not vote for it has been seen by some observers as introducing a refreshingly eccentric perspective into the notion of winning an election. The proposal has a lot of competition for being the most original election policy ever proposed and we gather that Mr Bowen has been nominated for the Mugabe Award for 2019, given to mark that statesman’s contribution to creative democracy. But some African and Middle Eastern potentates have asked how you could seriously ask people not to vote for you when they were not permitted to vote for anyone. Some elderly scholars came out of retirement to give their opinion on the origins of the proposal. One sage suggested that it was to be found in the argument of the then prime minister William McMahon, that people should vote for him but not for his cabinet as they were so bereft of talent that they could not count from one to two without his helping hand. But not even that pearl could pass the high bar erected by Mr Bowen and his assertion that the voters should really take hold of themselves and vote for anyone but him and his party. Despite the competition, the idea of not voting for Bowen and his ilk seems to have taken root, for a public opinion poll just conducted and sought to be suppressed by Throw Up! shows that 99 per cent of voters intend to take Mr Bowen at his word and follow his advice. For that reason, we wholeheartedly endorse it.